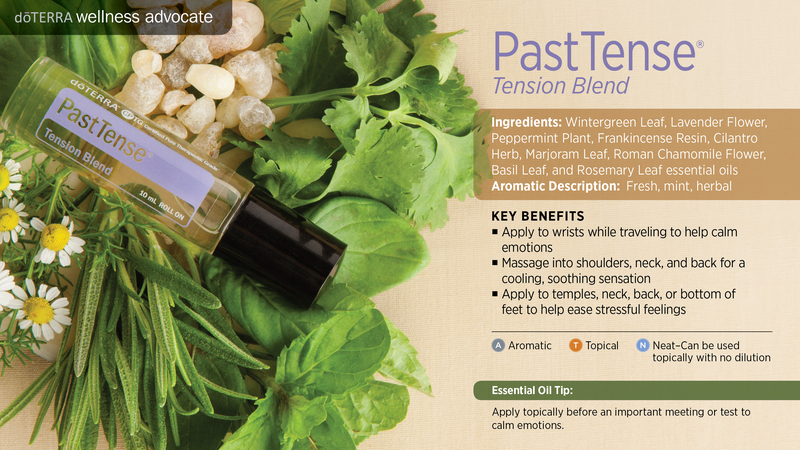 PastTense is a distinctive blend of essential oils known to help provide grounding and balanced emotions. Known for their soothing effects on both the mind and body, the essential oils in PastTense quickly, promote feelings of relaxation and calm emotions. PastTense comes in a convenient 10mL roll-on for easy application when at work, school, or home. Simply apply to the neck, shoulders, or behind the ears to help calm emotions while breathing in the cooling, distinctive aroma of PastTense. Apply to the wrists while traveling to help calm emotions.